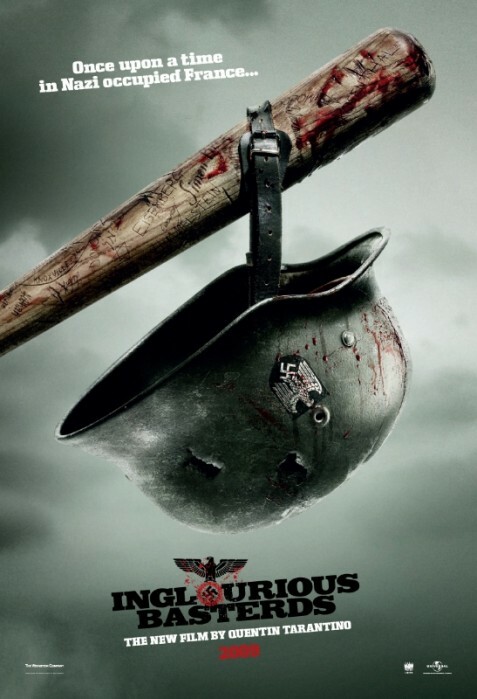 One year ago, it would have been unthinkable that I would not only watch a zombie flick but actually love it. I owe it all to Thea who taught me that the best Zombie movies are the ones not about zombies at all. In Zombieland, the story is about a lot more, about the guy who lost the family and went nuts, the boy who was unlucky with girls; I loved Woody Harrelson here (as usual) and totally have Jesse Eisenberg in my radar. The List was awesome and the surprising cameo by one of my favorite actors was hi-la-rious! The worst of the Apartheid only, with aliens. District 9 was brilliantly realised and acted. Sharlto Copley as Wikus van de Merwe owns my soul. 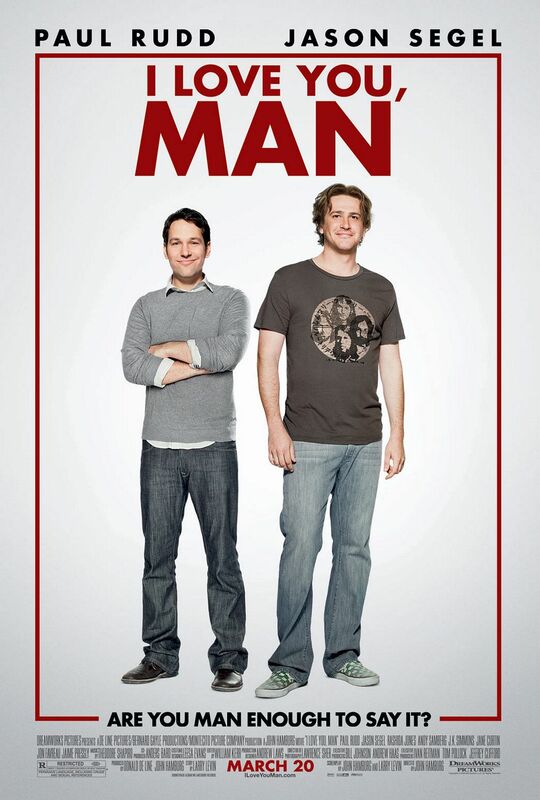 I am a huge fan of Jude Apatow so it was a given that I would be watching this one and I loved it! Adam Sandler took me by surprise and I loved how the movie is about comedians and yet it was rather sad with a lot of loneliness, doubt, old friends and new friends and lost love. Funniest.Movie.Of.The.Year. 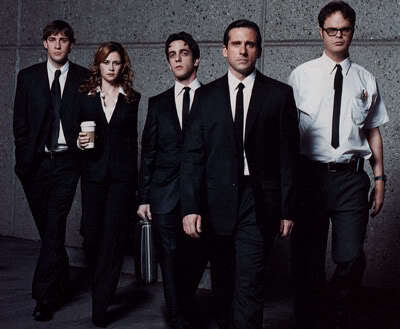 The trailer alone is made of win and the movie proved to be quite clever as these guys wake up in Vegas without a clue about what happened the night before and went around town trying to find the pieces of the puzzle. Awesome. Ah. Guys, I loved this movie. It took me some time to figure out that they were re-setting the whole thing but when I did have the revelation, I actually went “whoa, GENIUS”. I am hoping that this new series will go on forever and ever. I think this is my favorite movie of the year. 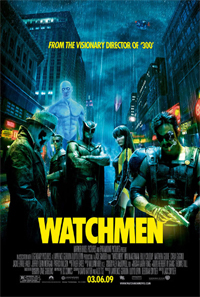 I love the Graphic Novel and I think the movie was quite faithful. I loved the art and photography and I fell in love with the Comedian and Rorschach all over again. Another bromance. 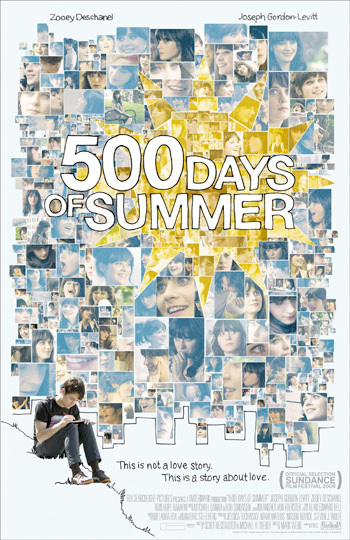 Gods help me, but I thought this movie was awesome with the story of the guy trying to find a guyfriend. Dear Partner totally loved it as well. What can I say, we are silly people, at Casa de Ana. I also need to give shout outs to 500 Days of Summer which I thought was really clever and cute and Inglorious Basterds with my favorite character of the year: Christoph Waltz’s Landa, the “Jew Hunter”. I need to say that I actually think last season was the best season since Season 1,especially the first say, 10 episodes even though I am prone to complain a LOT about character development. They don’t make any sense. But I only complain because I love it. 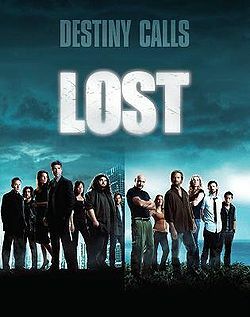 Because Lost is my favorite show (well, one of them) , I have loads of favorite moments: like when they started jumping through time and then end up being part of the Dharma Initiative! Or when Jin was alive and the he met Rousseau! Or when we found out that Sawyer was Lafleur, and that he was with Juliet! Or when Faraday came back to the island in the sub! Or that awesome scene when the O6 came back and they met with Sawyer and Sawyer looked at Kate and I was like awwww, YES! and NO! at the same time? And the revelation that OMG Jonh Locke is dead! DEAD! Gasp! I only started watching this show last year and after watching all seasons in a row I can safely say, it is one of the best TV Shows ever. The thing is, no other show make me simultaneously love and hate its characters in a very bipolar way. Season 3 was my favorite and my favorite scene of the year was the one where Betty confronts Don and he is forced to come clean. That was SUPER acting people. 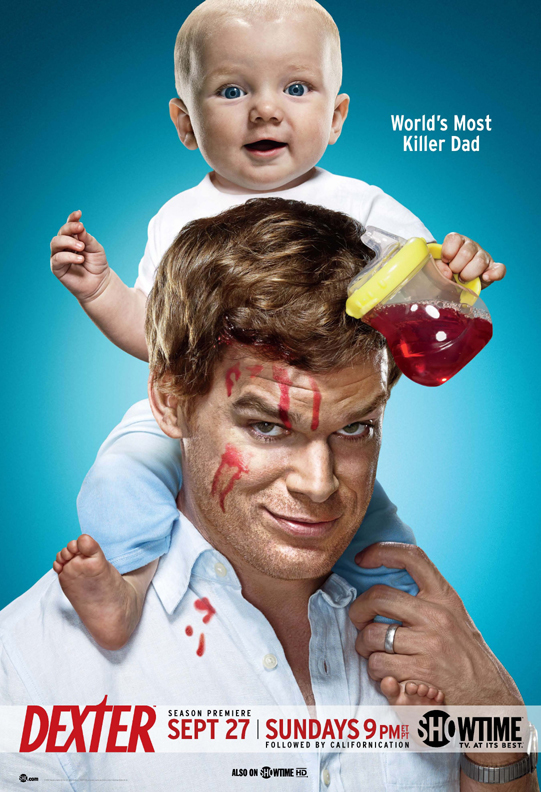 I think I love Dexter as much as I love Lost and this season was the best one to date. Every time a new season starts I wonder where they can possibly go next and they never fail to surprise me. Last season had an amazing John Lithgow playing another serial killer and the scene where they were facing each other without any masks was AWESOME. But nothing was more amazing than the last 5 minutes of the finale. I was left staring at my tv, sobbing, completely heartbroken and surprised. There were many many awesome episodes last year but two take the cake. First there was the moment when Michael QUIT Dunder Mifflin and I stared at the TV for about 5 minutes basking in the sheer awesomeness of that scene. And the entire episode of Jim and Pam’s wedding: with all those scenes when Jim was a dear, and then all the funny moments and then the wedding itself playing with that famous youtube video, ending with Jim’s three wedding plans that made me cry like a baby. Another show that always surprises me – when I think they are becoming too formulaic, they turn around and show me something brilliant. 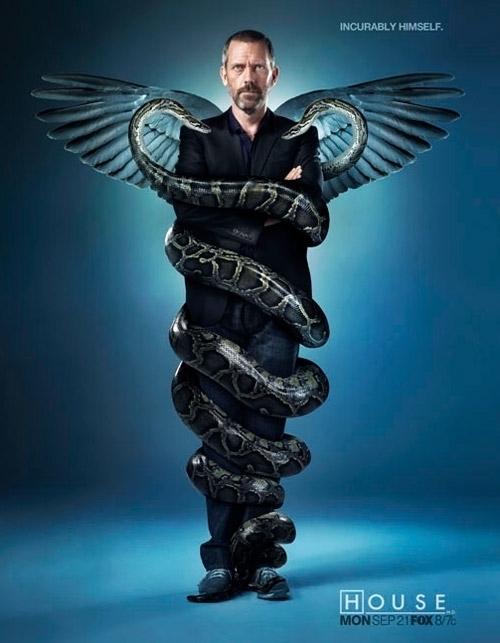 My favorite episode was the season’s premiere when House said for the first time: I Need Help. Listen, I DO think that the premise of the show is SUPER far-fetched but do I care? No. It has Nathan Fillion in it and he has crazy chemistry with his co-star. Enough said. The Pilot of this show was so.very.cool. I loved everything about it, the special effects, the acting, the premise of the show. And the other episodes since have been pretty solid too. A musical- comedy-drama? It was a given I would watch this one and I adore it. I love the songs and I love the characters and one of my favorite scenes of the year was that one where Kurt came out to his father. The scene did not go the way I was expecting it go and ended up being one of the best father-son scenes ever. But nothing, nothing tops Jane Lynch’s Sue Silvester, I drink her every single word like a mental woman. It took me a while to start watching this one but once I did, I was lost. I actually think this one is as funny as The Office and has the potential for a long TV life. Phil Dunphy, the “cool dad” is the new Michael Scott. The Christmas episode made me cry. The fact that the funniest new show can ALSO make me cry, makes this the best new show on tv. And that is it from me. You might notice that I did not include Supernatural on this list. That is because Supernatural sucked huge donkey balls and it is making my Airing of Grievances post later. One final word: I love TV. And don’t forget to check back later, for Thea’s Best of the Rest. Are we pop culture twins because you’ve pretty much acted as my mouthpiece…though Supernatural and Greek would have gotten a mention too. Looking forward to your thoughts on these shows and new movies throughout 2010! Glee and Modern Family are my two favorite shows these days! They make me laugh, which is such a good thing! Mad Men is my addiction. 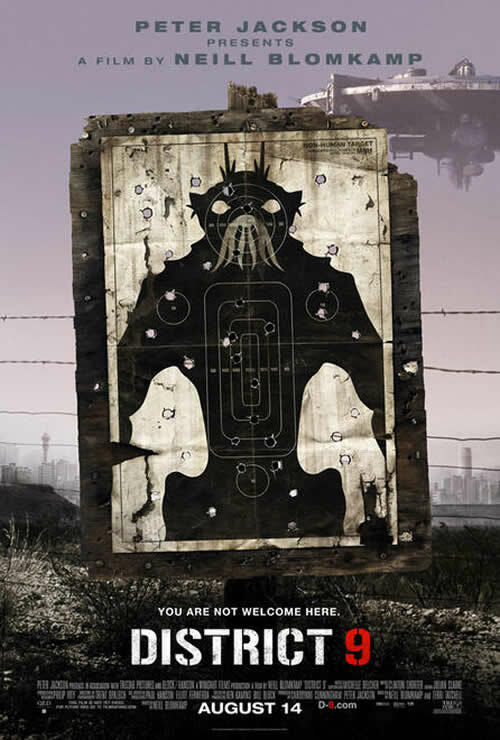 District 9 is coming to me from Netflix. Can’t wait to watch it. 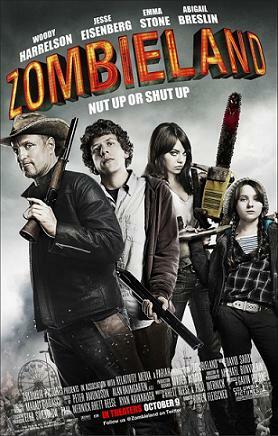 Also very excited for Zombieland out on dvd in Feb.
Love Love Love Glee! My kids and I are so bummed that we have to wait for more episodes. 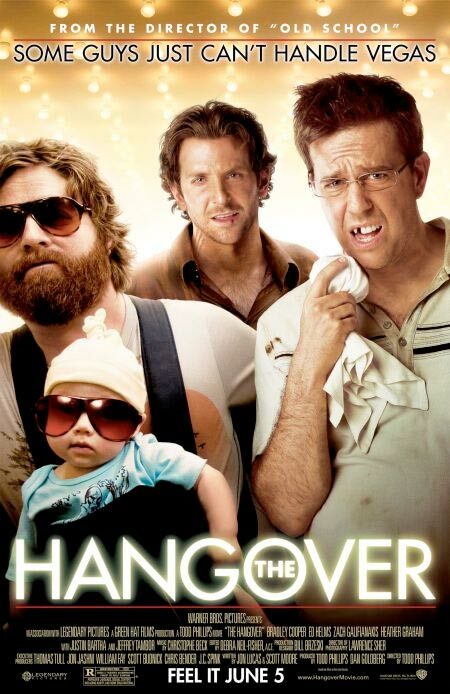 I also loved The Hangover. I have yet to see Star Trek. Glee I love. I can’t wait for the rest of Season 1! Supernatural I gave up on back in Season 2 when the evil TV network here sat on the the season for over a year, then ran Seasons 2 and 3 back-to-back (at the annoying time of 10 PM). At that point it was too little, too late. I watched Avatar in 3D last night, it was the best movie I have seen in a long time. If any of you haven’t seen it yet, see it in 3D. It is stunning. What about Being Human from the BBC? How could you not love a show where a werewolf, a ghost and a vampire share a house? And Torchwood: Children of Earth was one of the most gut wrenching TV shows I saw all year. What about Being Human from the BBC? How could you not love a show where a werewolf, a ghost and a vampire share a house? WAIT! What? I live in the UK, how do I not know about this show?????????? Jaysus, looking it up NOW.